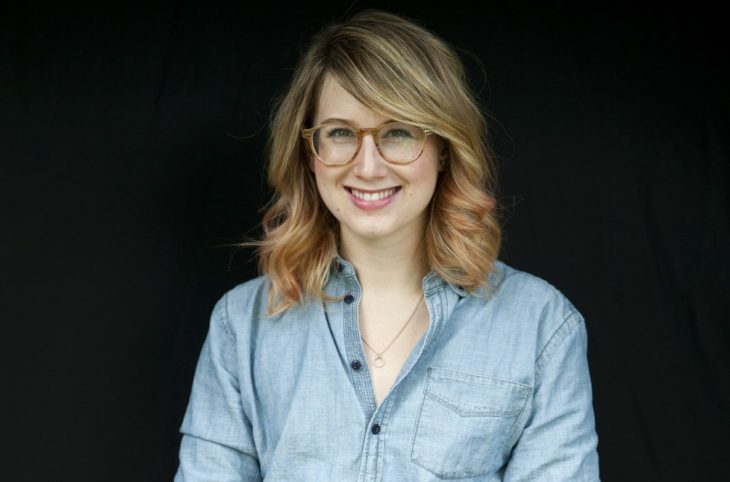 Rachel Zarrell, an alumna of Northeastern’s School of Journalism, was recently named to Forbes’ “30 Under 30” list, which celebrates the innovators who are defining and driving the world of media. 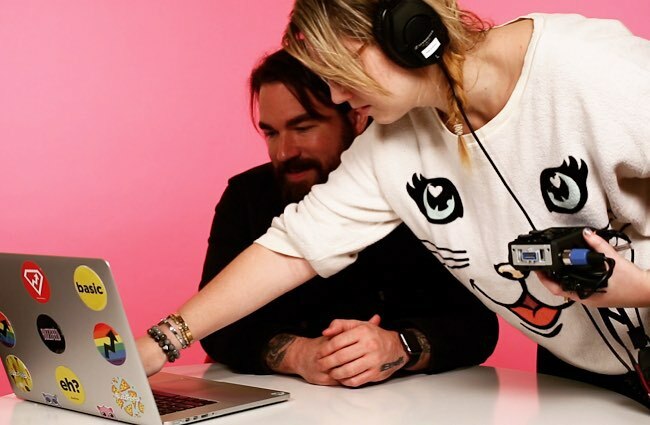 Zarrell, who works at BuzzFeed, was lauded for her creativity and experimentation with video. Northeastern’s College of Arts, Media and Design – inside of which the School of Journalism and Storybench sit – caught up with Zarrell last month. We’ve published a condensed version of the interview. What type of work does your current job as New Initiatives Lead at BuzzFeed involve? My role at BuzzFeed is leading video innovation for multiple lifestyle brands through experimentation and strategy. I also use data and analytics to seek out signals for what content our audience loves in order to identify areas for growth. This could be anything from testing one-off shortform videos to developing a whole sponsored franchise and everything in between. My days are always different. Basically I’m constantly having conversations with team leads, content creators, and marketing folks to figure out what we want to test, how it should look, how to get it done, which producers can help bring our vision to life, and optimizing for platforms. I also lead brainstorms, keep tabs on data for video and team performance, and watch a lot of internet videos! Because it’s always good to know what your competitors are up to. What drew you to BuzzFeed and the work you are currently doing there? Although I just started my role at BuzzFeed in September, I also worked here in the news section from Sept. 2013 – April 2016 and went to MTV News in between to lead daily news video. I love that BuzzFeed enables a culture of experimentation — it’s a place where creative weirdos (like me!) really thrive. Things are also very fast-paced here, which I appreciate as a person with a short attention span. It’s fun to get to work on a lot of projects at once, and to know that if I have a new idea I can often jump on making it happen. I’m still pretty new in this role, but I love that I get to work on such a variety of topics and styles and that it’s largely positive content. I used to work in news, but I don’t miss being away from it — it’s been really nice to move away from the pretty dreary, endless news cycle and think about the ways we live and how to enhance people’s lives through our videos. Lifestyle is a really fun place to get to experiment and play and I think it’s equally important as any other content area. How we want to live out our lives is a question we ask ourselves every day, and hopefully my and my coworkers’ work can provide some help in answering that question. You ended up with a career in the video world. How did you land there? I started at BuzzFeed in 2013 as the Weekend Editor, running a bare-bones team for all of the important news that broke when most people were at brunch. During that time I became one of the site’s high-traffic writers focusing on social news (things I found would often end up being covered internet-wide and by the morning shows the next day). Eventually, I helped formalize our coverage of those types of stories, developing and running BuzzFeed’s first social news desk. My career ended up taking a really surprising path after I was asked to help start BuzzFeed Motion Pictures NY in 2015 — I was sent to LA for a bit to learn how to do video and fell in love with the storytelling possibilities. It’s been an adventure tackling a completely new format. Anyone who loves journalism or writing but maybe feels limited by words should consider exploring how they can tell stories through other outlets. People are especially hungry for news and information right now, and they’re often really receptive to new and creative formats of delivering that to them. How do you feel being listed in Forbes’ “30 Under 30” in the media? It’s a great honor to be listed in Forbes’ 30 Under 30, and was a dream of mine for a long time. They don’t tell you in advance whether you won, only that you’re nominated, so I found out the morning it was released like everyone else. It was a big surprise! It was also alphabetical so when I looked at it on my phone I was the 30th slide, which was pretty dramatic. And I did do a little happy dance. Being on lists like this is really fun and a great ego boost — but at the end of the day, doing great work and having your audience respond positively to it is the best reward you can get. It’s always nice to be validated that you’re doing a good job, but it’s also good to remember to sponsor and promote others (especially women!) who might not be in a position to get the same kind of recognition.